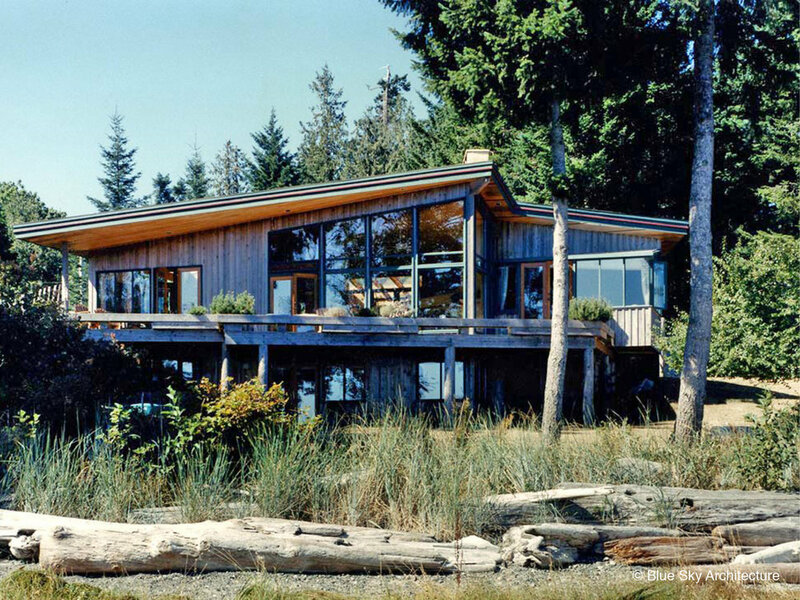 The siting of the house angled from the shoreline rather than parallel to the ocean, so that its foreground views were up and down the rocky beach, which is constantly transformed by 17-foot tides. Another advantage to this siting is that no views are towards the close neighbouring houses. Capturing and balancing sunlight, while exploring the magnificent beach views to the north and east was achieved by a series of courtyards and garden rooms externally, and skylights and atrium internally.